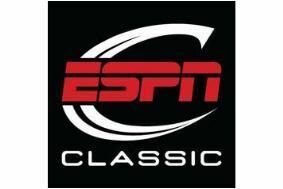 Virgin Media adds ESPN Classic to its TV Choice on-demand service | What Hi-Fi? From next week, sports fans will be able to enjoy some of the most memorable moments and matches from football, rugby and cricket, as well as Wimbledon finals, on Virgin's cable TV service. As this year's RBS Six Nations Rugby tournament heats up, ESPN Classic on Demand will feature a host of "best ever rugby matches", while footy fanatics can catch up with some outstanding matches from the last five seasons of the Premier League. Cricketers can enjoy seeing some of the sport's best players in Legends of Cricket, and boxing fans can watch the legendary 1974 An Audience with Muhammad Ali. There'll be 20 hours of sporting action available on demand, and fresh content added every month, says Virgin. The service will also be available on Virgin Media's online player (available to Virgin XL TV customers with a Virgin broadband connection).